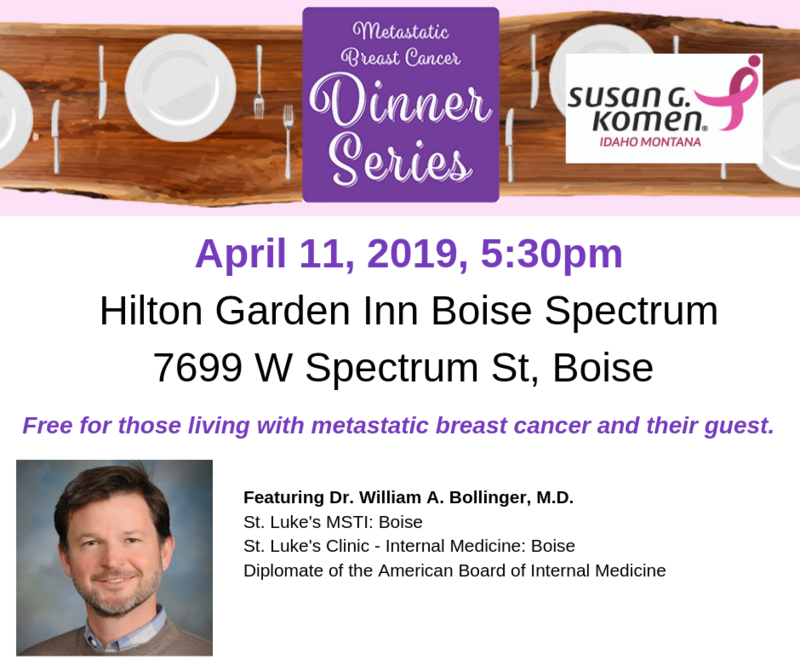 Join Komen Idaho Montana as we learn more about palliative care from Dr. William Bollinger from St. Luke’s MSTI. Dinner begins at 5:30pm, presentation to begin around 6:30pm. Free for those living with metastatic breast cancer and their guest. Registration is required. 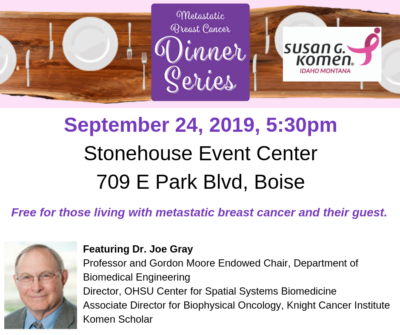 Join Komen Idaho Montana as we learn more about the metastatic breast cancer research and clinical trials being conducted at Oregon Health Science University by Komen Scholar, Dr. Joe Gray.Dinner begins at 5:30pm, presentation to begin around 6:15pm. Free for those living with metastatic breast cancer and their guest. Registration is required.